Pianist / composer / improviser Jesse Stacken has been teaching music for fifteen years. He began playing piano at the age of ten and quickly developed a passion for jazz improvisation. 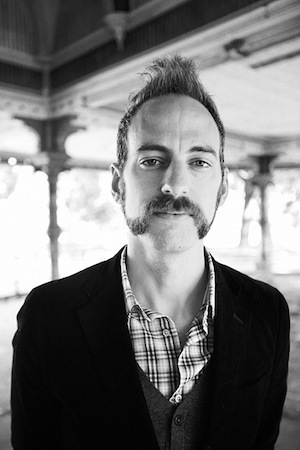 In 2001, he received his undergraduate degree in Music Education from the University of Wisconsin- Eau Claire, where he studied classical piano with Penelope Cecchini and performed in the Downbeat Award-winning Jazz Ensemble I.
Jesse followed his passion to New York City and received his Master’s degree in Jazz Piano Performance at the Manhattan School of Music, where he studied with Garry Dial. He is now an active performer on the New York City jazz and creative music scenes, and an international touring musician. Since 2007, Jesse has released six critically acclaimed recordings on the Fresh Sound New Talent and Steeplechase record labels. He has also created a number of internet music projects on his website, www.jessestacken.com. In addition to private piano lessons, Jesse taught jazz ensemble and jazz combo at the University of Wisconson-Stout from 1999-2001, and was guest faculty at the Lyra Summer Music Workshop in 2011 and 2012. He has been a clinician for the International Association for Jazz Education and an adjudicator for the UWEC Jazz Festival. He is currently also on faculty at the Bloomingdale School of Music and has studied pedagogy with Carolyn Shaak. He is fluent in teaching a broad range of styles including jazz, rock, and classical. He focuses on building a solid understanding of fundamentals in his students, in any style they are learning. Students of Jesse have been admitted into the Manhattan School of Music prep program, The William Patterson University Music School, the Lincoln Center Middle School Jazz Academy, and the Laguardia High School of the Arts. Jesse has been a vital force on the New York City creative music scene for the better part of a decade. He continually brings freshness to the stage, whether through conceptual ideas or inventive spontaneity. Stacken has led the Jesse Stacken Trio with bassist Eivind Opsvik and drummer Jeff Davis since 2005. The group has release three critically acclaimed records on the Fresh Sound New Talent label. Stacken also has a longtime partnership with the trumpeter/cornetist Kirk Knuffke. As a duo, they have release two award-winning records on the Steeplechase label. They have recently released a third Like A Tree, which features drummer Kenny Wollesen. Stacken has been increasingly active with free improvisation, performing with two groups recently; a trio of Jesse Stacken, Robin Verheyen, and Ziv Ravitz, and a quartet featuring Akiko Sasaki playing koto. Along with performing in many of New York City’s best venues, Stacken has toured North and South America, Europe, and Japan, including appearances at the North Sea Jazz Festival and Vancouver Jazz Festival. He has performed and/or recorded with Tony Malaby, Tom Rainey, Andrew D’ Angelo, Peter Van Huffel, Liam Sillery, Michael Blake, Darcy James Argue’s Secret Society, Tyshawn Sorey, Erica VonKleist, and Sherisse Rogers . www.JesseStacken.com.